Find Hotel Kabuki - a Joie de Vivre Boutique Hotel deals, discounts and special offers. 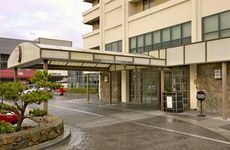 The 161 rooms at Kabuki in Japantown are Japanese style decor, fitness center, and welcome tea service. In the heart of the Financial District, the non-smoking Le Meridien has a fitness center and complimentary car service. The Omni on Nob Hill has Florentine Renaissance architecture, complimentary walking tours, & an on-site fitness center. Between Nob Hill and Union Sq, the French-influenced 26-room Auberge has evening wine receptions and breakfast buffet. Next to Union Square & Wolfgang Puck's Postrio restaurant, the smoke-free Prescott has in-room spa treatments. A Nob Hill address, the smoke-free Stanford has Tiffany glass dome, courtyard and on-site fitness facility. The Embarcadero Hyatt Regency has 802 spacious rooms, fitness center, yoga classes, and casual dining. Across from Moscone Convention Center, the smoke-free 39-story Marriott has an indoor pool and casual dining. Chic luxury hotel includes Spada restaurant, fitness center and a cozy lounge. A 17-story Spanish revival building near Union Square, the Serrano has free Internet & evening wine hour. The St. Regis blends modern and historic buildings next to the SF Museum of Modern Art (SOMA area). On-site spa. A boutique waterfront hotel at Fisherman's wharf, the Argonaut has in-room spa treatments & fine dining. Casual, European style hotel offers access to nearby fitness center and is close to San Francisco attractions. Near Union Square, 94-room Donatello has spacious rooms, fitness center with a whirlpool tub and private saunas. The Hilton features an outdoor heated pool, several dining venues, and high-speed Internet in all rooms.